Come Hit One Out Of Brooklyn's Prospect Park! 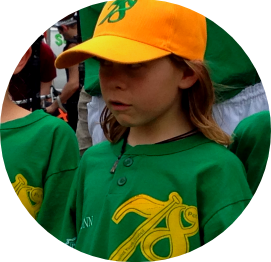 78 Youth Sports offers opportunities for co-ed players at all skill levels and ages 4-17 to play ‘rec’ baseball! It’s fun, positive and skill-building! Get On A Team. No Tryouts/Evaluations For Our Recreational Teams. All you have to do is sign up! We’ll place your child on a team. Want to be on a specific team or with a certain coach? Simply make a request when you sign up. If there are too many players on your requested team, we’ll let you know and place you on a team that has room. New To The Game? No Problem! Our coaches will teach the game! 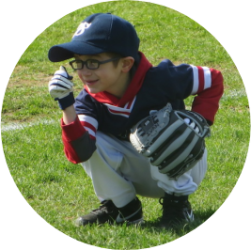 For our youngest players ages 4 – 6 years old, 78 Youth Sports and SportStrata (sport psychologists) have developed a proprietary, developmentally-appropriate game called Bases Loaded. Click here for overview and rules. *All of our coaches are background screened. Want to play up or down? 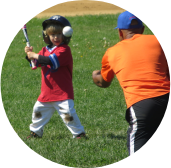 This is allowed only in exceptional circumstances with approval from the Baseball Commissioner and the Prospect Park Baseball Association. Use our contact form for questions. Want More Training or Playing? Hone skills at our various clinics, programs, lessons and summer camps.